Following the completion of your Will, we recommend that you store it in a safe, fire proof place. But you need to ensure that when you die it can be found. If your will cannot be found then your estate may be distributed as if you were intestate. Once we have completed the writing of your Will and it has been signed and witnessed, it must remain valid and safe until the time comes when it is needed, however many years later. There are however a number of things that could invalidate your Will along the way. Pen marks in the wrong place, a tear or damage of some sort, loss of the Will or just simply your executors are unable to find it after your death. professionally. Your documents are kept locally so your executors get access to your Will quickly; we are then on hand to help guide them through the legal maze of Probate free of charge. The small annual fee for storage is guaranteed never to increase and you have the facility of updating your Will as often as you need , ensuring it always reflects exactly what you want. • A copy of all your documents held in storage, to keep for your records. • A letter explaining how to retrieve your documents for each of your executors. 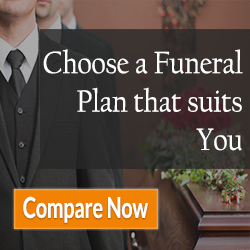 • A free annual update or rewrite of your Will(s). • No fee for retrievals or deposits of any of your documents. • Free Help-Line for your executors with support and information about their duties after your death. • In order to ensure your executors have quick and easy access to a valid and up to date Will along with professional support in sorting out Probate, make sure you ask about Secure Document Storage.